service providers put the finishing touch on your building. provide service with immaculate detail and speed. water extraction for commercial and residential clients. Hi-Lite has been in the “Specialty Cleaning Industry” for over 36 years. Our clients expect personal, consistent, reliable and high-quality service with complete satisfaction guaranteed. We offer professional commercial and residential services to our clients. When you hire a “Specialty Cleaning Contractor” you want more than just a cleaning service, you want timely and reliable service from a company who cares about your satisfaction. With Hi-Lite Janitorial, that is what you will get! Our uncompromising high standards have made us the clear choice for many satisfied clients. Mitchell Hardin Jr. is an author, inventor, and teacher. Currently, he is writing a How 2 Book that is specifically designed for construction final clean-up. 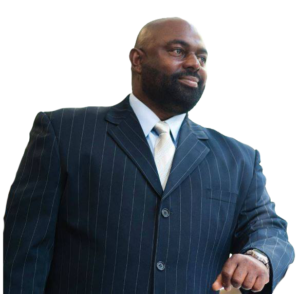 He is also a certified master instructor for NxLevel Business Training Courses for Small Business Development. He spends his free time with his wife and two children. Your Glass is Our Task! Hi-Lite Enterprises Inc. is a “Specialty Cleaning Service Company”,offering professional, fast and efficient, mobile on site window covering cleaning services. We also offer repair services on all major types of blinds and shades. Call today for your Fast Free Estimate! Comments: Mitch called almost immediately after I requested service. He was extremely polite and professional. He showed up right on time to collect our blinds, and right on time to re-hang them. Super customer service.